Since I’m not too familiar with Filipino cuisine, I thought it would be nice to try something out of our norm. 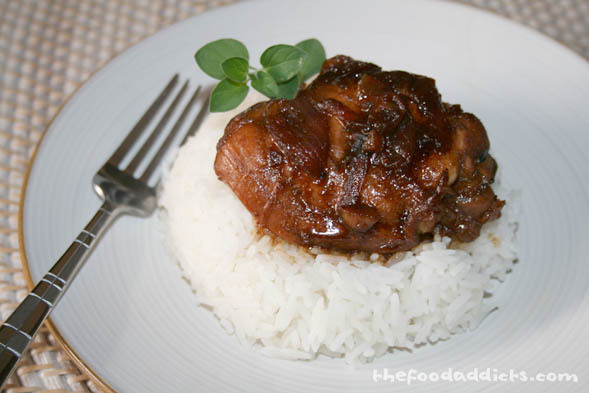 Daniel’s friend Larry has a great recipe for Chicken Adobo and he shared it with us, which turned out to be much easier than it sounds! The best part is that it only takes 1 pot to make everything - efficiency at its best. I love getting a recipe where I don’t have to run out to the market to get a couple of ingredients. 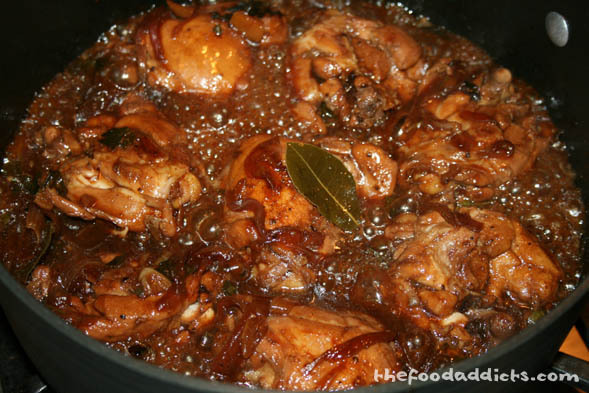 For instance, Chicken Adobo normally calls for bay leaves, and if I didn’t have that on hand, I would most likely not make it out of inconvenience. But thanks to Daniel’s garden, bay leaves were available, and so we sought out to make this popular Filipino comfort food! In a large cooking pot, start by browning some chopped garlic and onions. 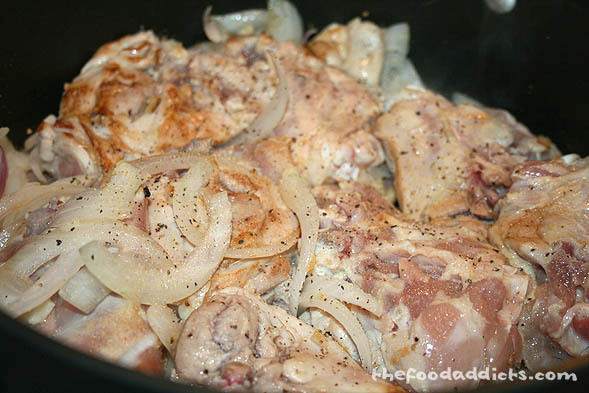 Then, add 8 pieces of skinless chicken thighs along with some garlic powder and pepper. Cover the pot and let the chicken brown up. Next, pour in 1/2 cup of soy sauce and 1 cup of vinegar, as well as some chopped parsley, oregano, and 2-3 bay leaves. 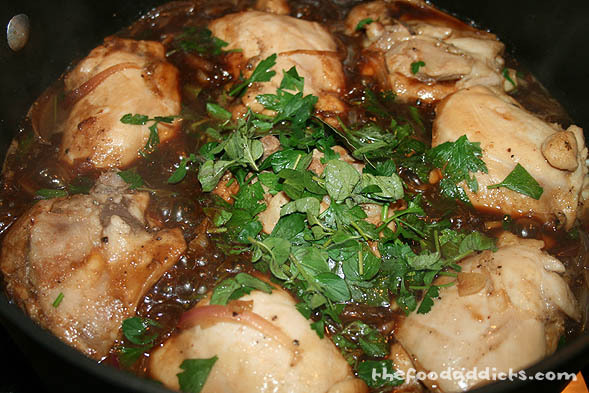 Cover the pot and let it simmer for about 20 minutes to let the chicken cook evenly through. When the chicken is almost done cooking, uncover and let some of the liquid evaporate. Finally, add 1 tbsp of sugar to the pot. Generally, people like to make pork adobo, but this is the healthier alternative. What makes this Filipino dish different from regular soy sauce chicken is the addition of vinegar. And of course, it's almost always eaten with white rice. Thanks for the recipe, Larry! It was great!